In a statement, the Seahawks said they have expressed "extreme disappointment'' in a tweet sent Tuesday night by defensive end Frank Clark sent to a female Bleacher Report reporter. 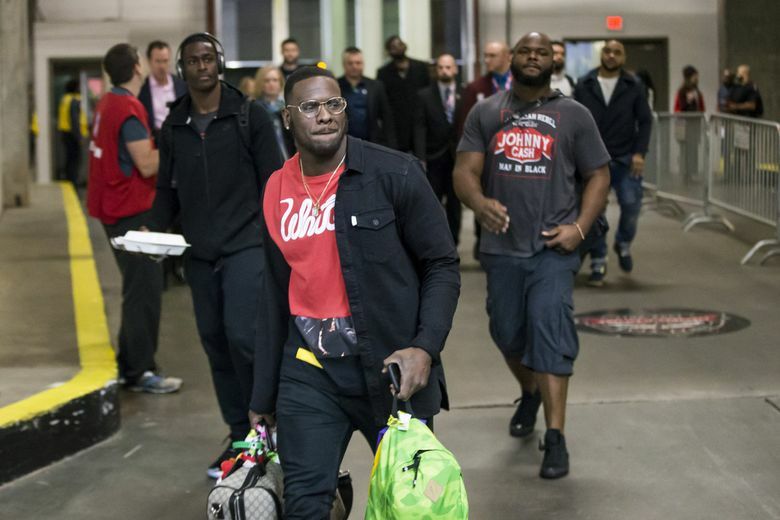 The Seahawks met with defensive end Frank Clark Wednesday morning to express their “extreme disappointment with his judgment’’ in relation to a tweet he sent to a female Bleacher Report reporter Tuesday night. Clark also tweeted a lengthier and more formal apology to the reporter Wednesday afternoon. The reporter, Natalie Weiner, wrote a story last week about former NFL player Greg Hardy and the issue of domestic violence in the NFL. Weiner did not mention Clark in that article; however, she wrote a critical column two years ago after the Seahawks drafted Clark in the second round of the 2015 draft. Weiner tweeted that she shared that column alongside her Hardy story. Clark was arrested for domestic violence in 2014 but eventually pleaded guilty to disorderly conduct. He is entering the third season of the standard four-year rookie contract and can be an unrestricted free agent following the 2018 season.